the meetings and anyone with a deeper interest is urged to apply for participation on the archival committee. Also, we need the abilities of members with knowledge of website design, indexing, collections management (RAD), and the desire to help answer the research and genealogical queries that come to us (more frequently by email now). Collections come to life when seen. Long forgotten letters and cards emerge from their dark recesses and speak to those who know. Take, for example, the ephemeral piece illustrated above from the Hugh P MacMillan collection: on the back of the invitation card the secretary of the Caledonian Society, H A McLaurin, on behalf of president Alexander Falkner, invites Duncan McRae to their dinner in Lancaster at McRae's Hall. All fine Glengarry names, and with stories to match. Perhaps some members are able to recall one of their ancestors or remember an anecdote about the old Caledonian Society and its patrons. While we work on the establishment of the Glengarry Archives the acquisitions of the last ten years have continued with the new collections being put into working storage at the Bethune-Thompson House. 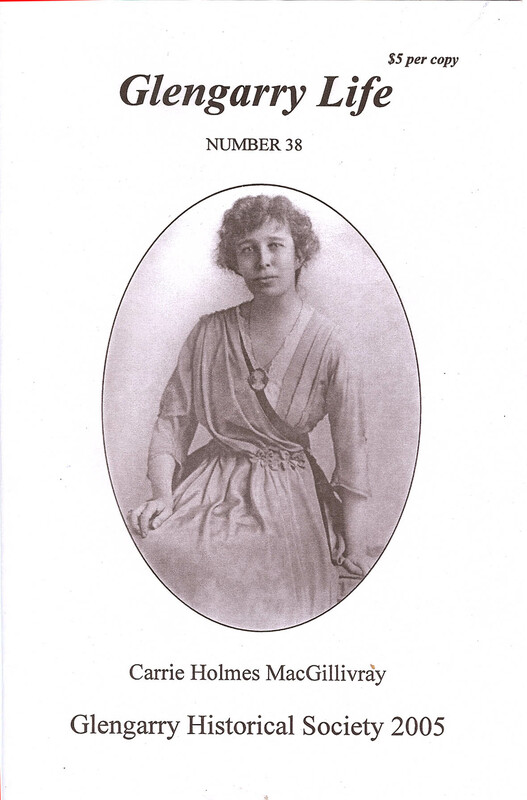 Access for Society members and other interested parties can be a arranged on virtually any day (including weekends) by a simple phone call to David Anderson (347-7192) - we have always made researchers welcome in the house and set aside Mr Bethune's parlour for them to consult our rapidly growing resources. 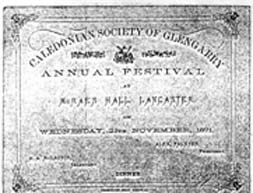 Most come to use the complete microfilm run of Glengarry News and the local censuses and township papers which came to the Society from the collection of the historian Ewan Ross. The microfilm reader is even loaned out to members should they wish to bum the midnight oil for a week or so.